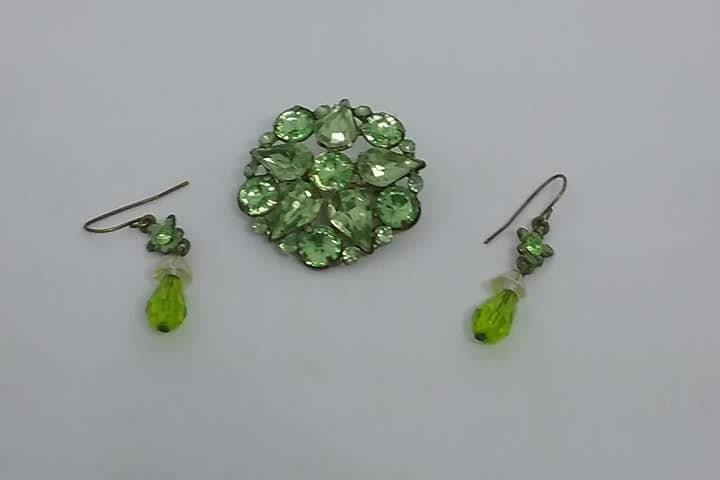 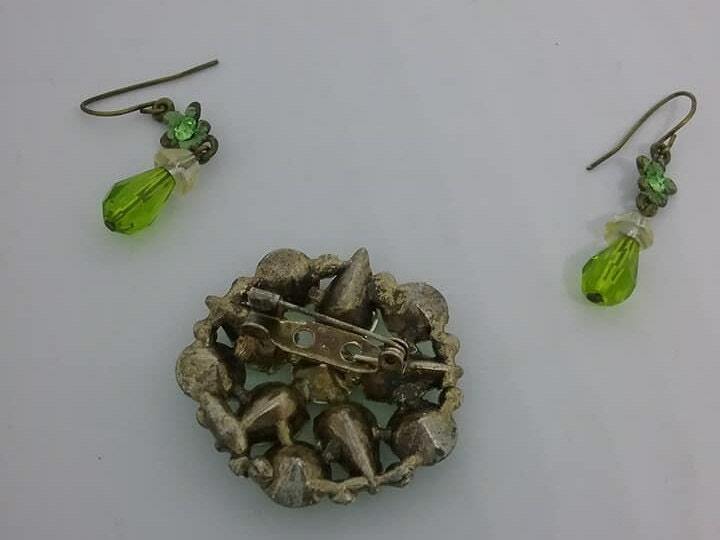 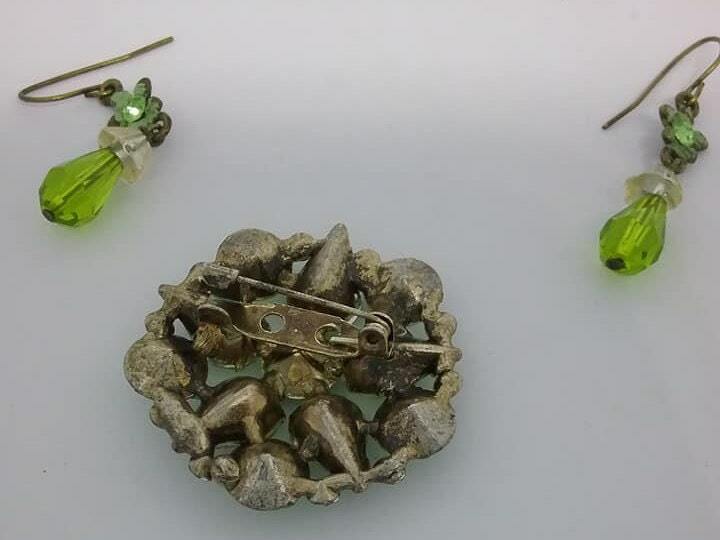 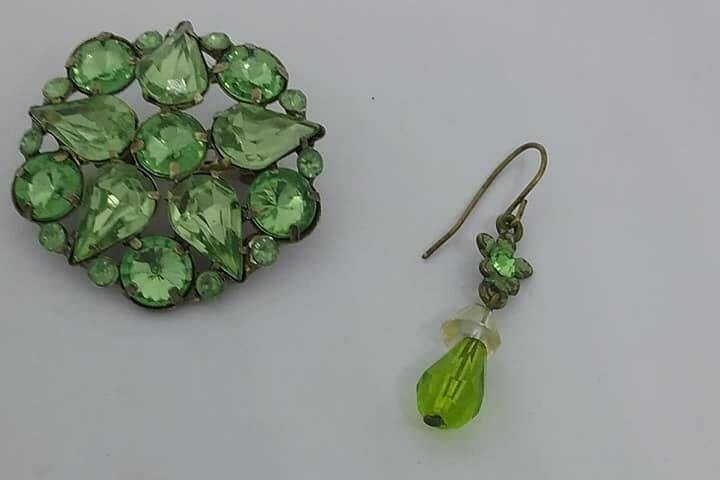 Vintage lime green pronged rhinestones, round and teardrop. 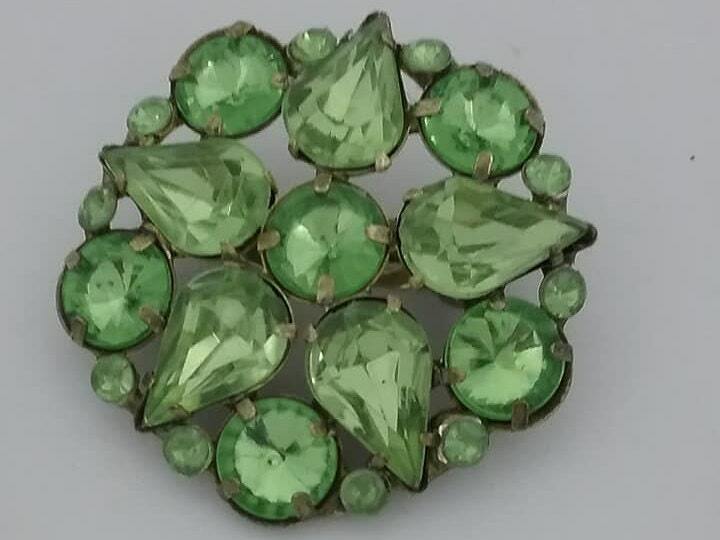 C-clasp closure on back. 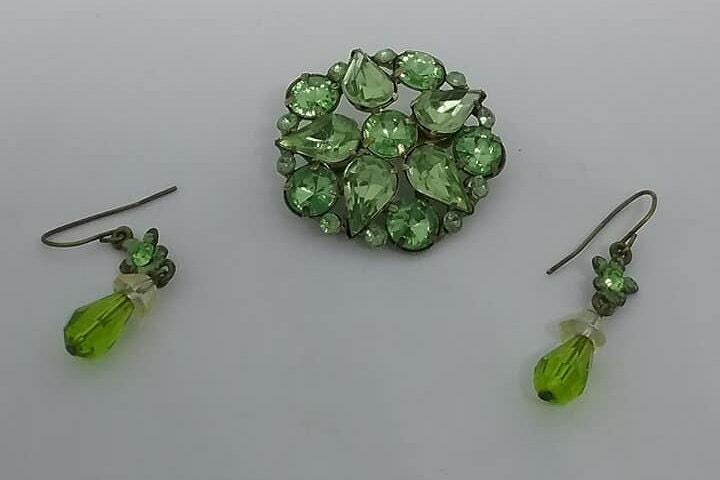 Married with a set of dangle green rhinestone pierced earrings. 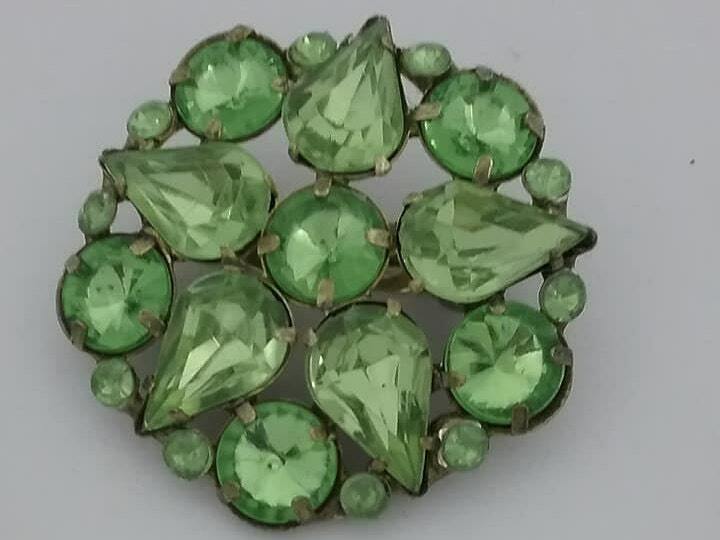 This is a classic brooch in very good to excellent vintage condition. 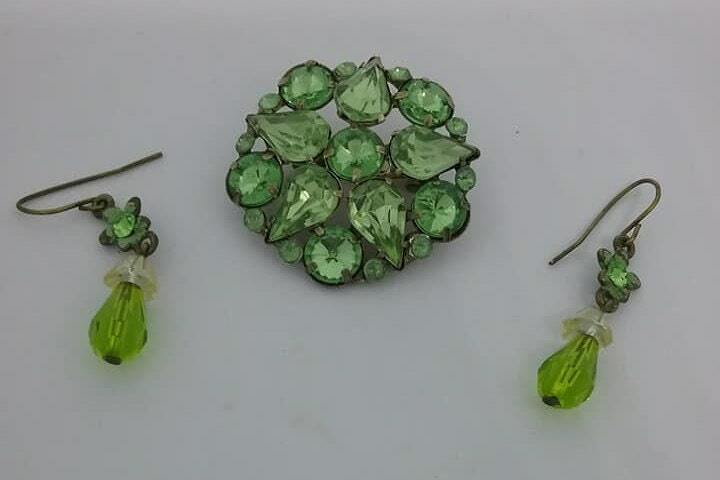 Bring back vintage beauty...this set will add panache to that outfit you need to accessorize.